On the day of the first rodeo of 2014 rain was the name of the game and was really the defining characteristic of the event. Crowds were a bit on the light side due to the weather issues, but it was good to see a few new trucks on the scene and a lot of old favorites back for another season. Recap of the event is below in my standard format so take a look! To kick off the first Rodeo of the season, we had three new truck openings and one of the most popular trucks got a new home. 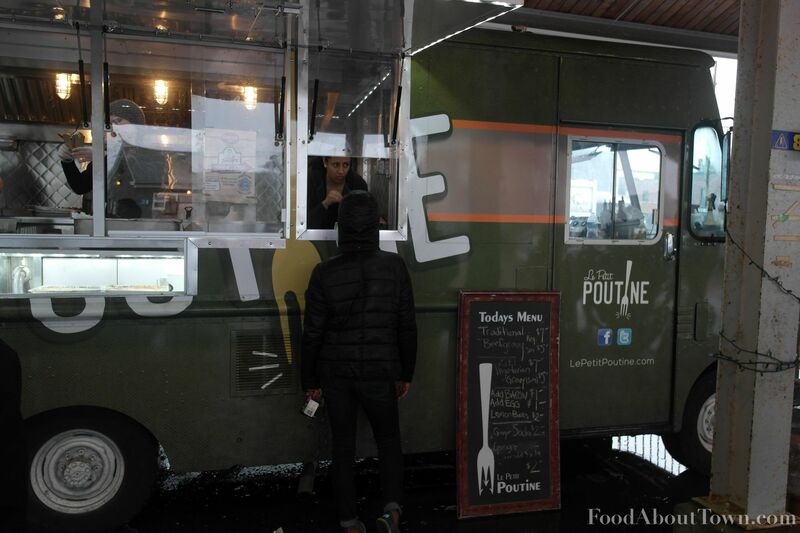 First off, I’d like to congratulate the team at Le Petit Poutine on getting their new truck for this season. It looks fantastic and should help them keep up with the high demand that follows them wherever they go and have some more options to expand their menu as time goes on. On to the new trucks! 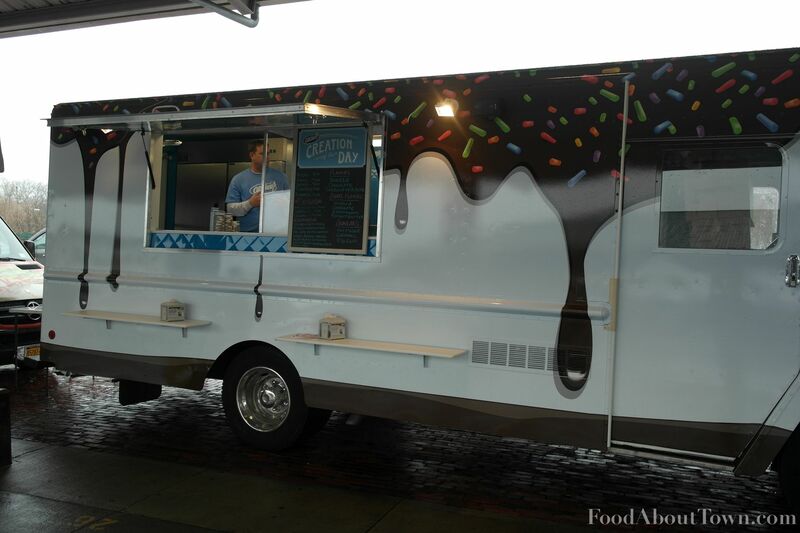 First off, it looks like Abbott’s is the latest Rochester institution to open a truck to serve up their food on the go. The menu looks similar to the standard shop version with their custard, shakes and sundaes albeit a bit pared down selection wise which makes sense. Wine Not? 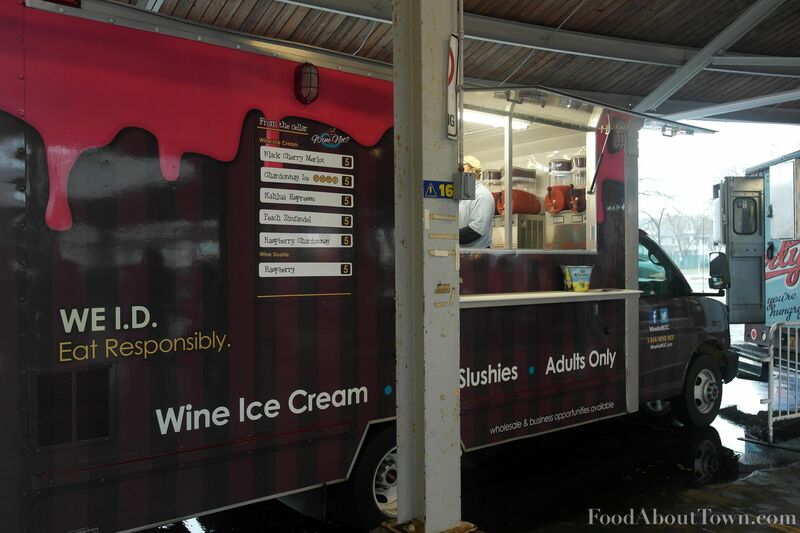 (question mark part of the name I think) made their Rochester debut as well serving wine spiked ice creams in multiple flavors as well as wine slushies. Not really my thing since I don’t drink alcohol, but I’m imagining they are going to be a big hit in the warmer months and especially on the festival circuit. People love their wine stuff! I had heard about the previous two before the Rodeo, but The Bento Box took me by surprise with their grand opening. Their truck design is pretty sharp and I appreciate their short menu with a banh mi, pork chop bento box and a waffle dog being the main items. I got a chance to try their sandwich with one of my new Yelp compatriots which I’ll be describing in the dish review section below! 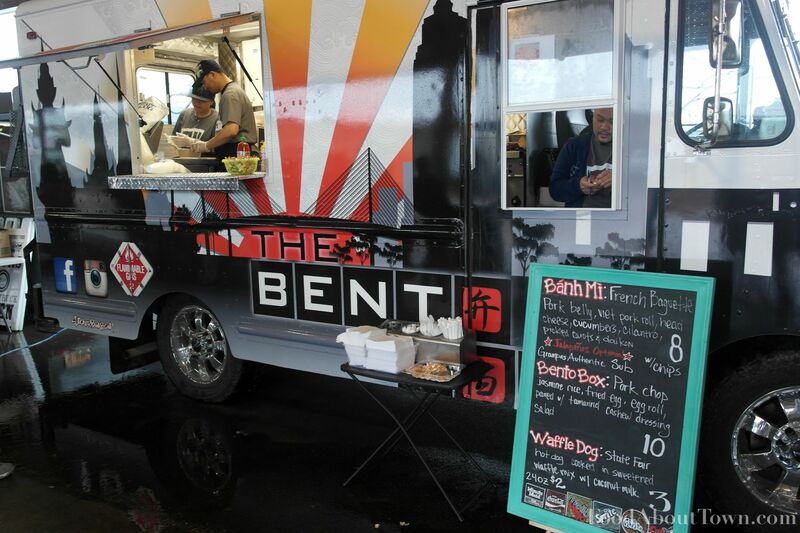 Let’s start where we left off with the banh mi sandwich from the debuting Bento Box truck. Although other trucks like Marty’s Meats often have banh mi on the menu, I was pleased to see a truck focused on them specifically. They only had one variety on the menu that offered a mostly traditional look at the sandwich with the pork roll, head cheese and a BBQ pork belly as the meat components. The big downfall of this sandwich was that the roll was on the stale side and much too tough and there wasn’t enough of the pork belly to justify the overall cost. 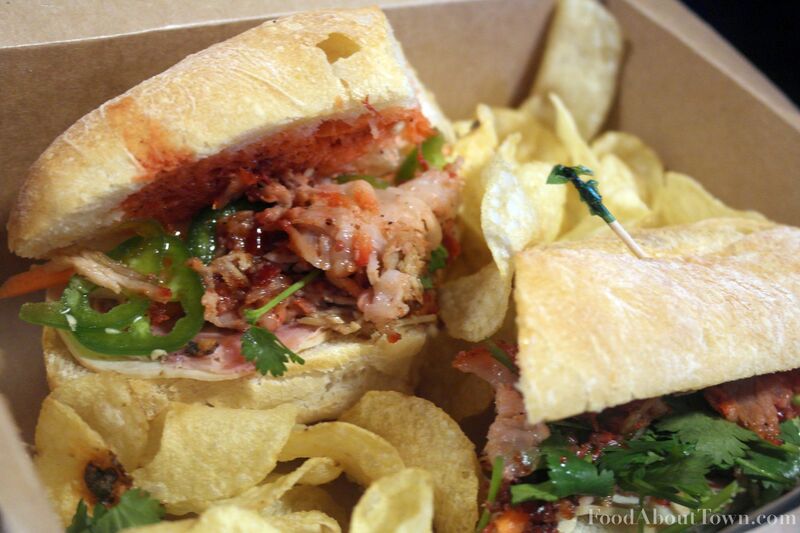 That’s not to say that everything was bad since the flavor of the BBQ char siu style pork belly was quite good but the overall sandwich could use some improvement. Marty’s Meats brought some interesting offerings to the table as always and I was able to sample both the soft shell crab po boy and the octopus tacos. 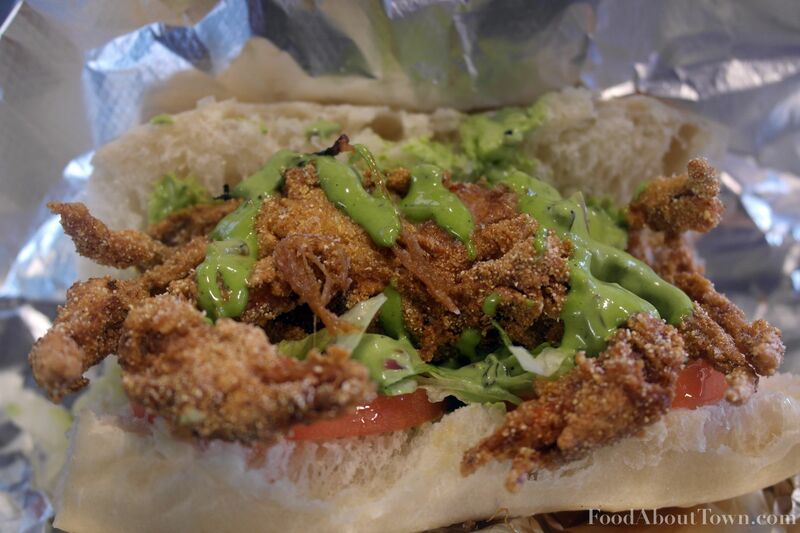 The cornmeal crusted crab sandwich was definitely the better of the two with a nicely fried crab and a spring onion mayo sauce that brought some needed brightness. Damn tasty sandwich with plenty of salt and a nice roll to top it off. The octopus tacos were a little less successful needing a bit of salt and the octopus ended up on the tough side although with a very pleasant charred taste to them. The crab sandwich was my favorite item of the night and Marty and the crew consistently bring their big guns to the rodeo. Good stuff! I grabbed an apple cider donut from Duke’s Donuts on the way out of the rodeo before heading to Joe Bean Coffee to get started on writing this round up. Not bad, but I still can’t get over the cake aspect of it. I’m just not a fan of cake even though this had a pretty good base flavor to it and offered a nice light crust. Definitely worth checking out on Saturday mornings at the Public Market or next time the Rodeo comes along! The rain came down, but the crowds still came out to check out the first rodeo of 2014 and I think it was pretty successful overall. Luckily we all got to stay relatively dry under the covered sheds and enjoy some tasty food. I talked to some people who were new to the rodeo and got a chance to catch up with some of my food related friends as well and had a good time. 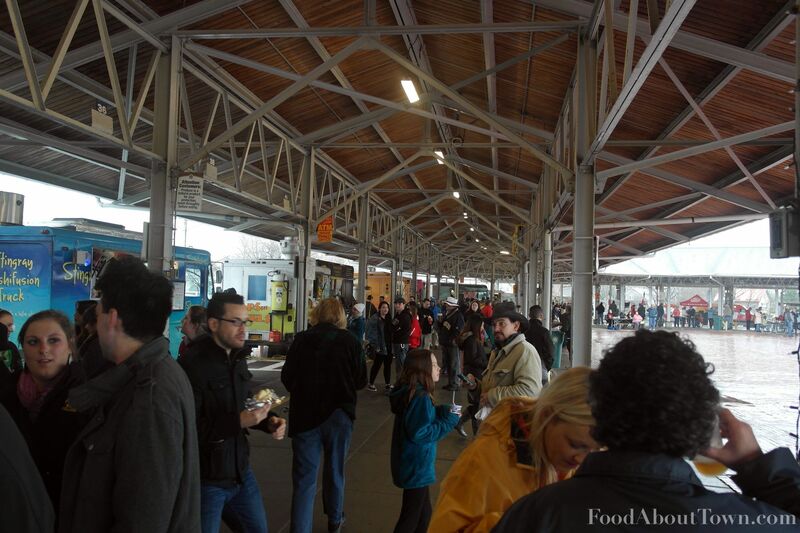 Looking forward to better weather and more food trucking next month! Tags: Abbott'sBento BoxFood Truck RodeoLe Petit PoutineMarty's MeatsRochestersoft shell crabWine Not?